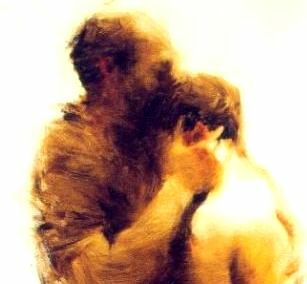 Look at four characteristics of the father in the story of The Prodigal Son (Luke 15). This father gave permission to the younger son to take his inheritance and leave. Our Father in heaven is not controlling. He created you with free will and He will not take it back. Maybe the most amazing thing about our Father’s love is that He lets us choose to receive it or reject it. The father in Luke 15 is patient. In the story, the father waits and watches. It must have taken time for the younger son to waste all of his inheritance. It took time for the boy to come to his senses. The father was patient. God is too. He won’t give up on you, He waits and watches for your return. The prodigal’s father pursues. I love to picture it. When the father sees his boy, he tucks his robe into his belt and begins to run. Old, rich men don’t usually run; but this father pursues his boy. When he reaches him, he wraps his arms around him. Max Lucado says: “With one arm he holds him up so that he won’t fall, and with the other arm he holds him close so that he won’t doubt.” That is such a beautiful picture of the way that God loves and pursues us. That promise is for you. Ephesians 1 says that you have been blessed with every spiritual blessing! We know the story in Luke 15 as The Prodigal Son. It should really be called The Prodigal Father! Do you know what the word prodigal means? It means extravagant. Next ABC Continues This Fall!